Set in the Vesterbro district, this eco-friendly boutique hotel is about 15 minutes’ walk from Copenhagen Central Station and Tivoli Gardens. The hotel is adult only, and offers free Wi-Fi access and tastefully decorated rooms. Guests can relax in the quiet, furnished courtyard garden. 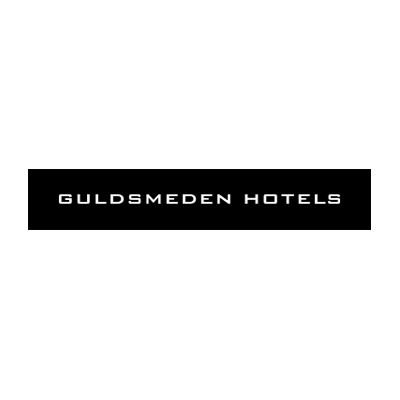 Guldsmeden's breakfast buffet includes organic products, including a variety of homemade items and bread from a local bakery. A variety of dining, shopping and nightlife options are easily accessed. Frederiksberg Palace and the surrounding Frederiksberg Park are 1 km away. Frukost ingår Features Balinese-inspired décor, wooden floors, a four-poster bed, as well as a flat-screen TV. This room faces a main street and has a small bathroom with shower. Frukost ingår Features Balinese-inspired décor, wooden floors, a four-poster bed, as well as a flat-screen TV. This room faces the courtyard and garden, and has a small bathroom with shower. Frukost ingår This double room features a cable TV. Features Balinese-inspired décor, wooden floors, a four-poster bed, as well as a flat-screen TV. This room faces a main street and has a small bathroom with shower. Frukost ingår Features Balinese-inspired décor, wooden floors, a four-poster bed, as well as a flat-screen TV. This room faces the street and has a small bathroom with shower. Frukost ingår This double room has a balcony and flat-screen TV. Features Balinese-inspired décor, wooden floors, a four-poster bed, as well as a flat-screen TV. This room faces the courtyard and garden, and has a small bathroom with shower. Features Balinese-inspired décor, wooden floors, a four-poster bed, as well as a flat-screen TV. This room faces the street and has a small bathroom with shower. This double room has a balcony and flat-screen TV. Frukost ingår This double room features a balcony, bathrobe and satellite TV.